Float on a leaf down a gentle stream past the Three Little Pigs, the Seven Dwarves, Red Riding Hood and other well-known fairy tale characters. Fairy Tale Brook is a gentle boat ride down a small stream inside boats shaped like giant leaves. During the course of the journey riders pass by scenes from famous fairy tale stories, depicted by giant lego models. The green leaf-shaped boats each seat up to four people, although it might be a bit of a squash for four large adults. They wind their way slowly down the water channel, with characters appearing on both sides. 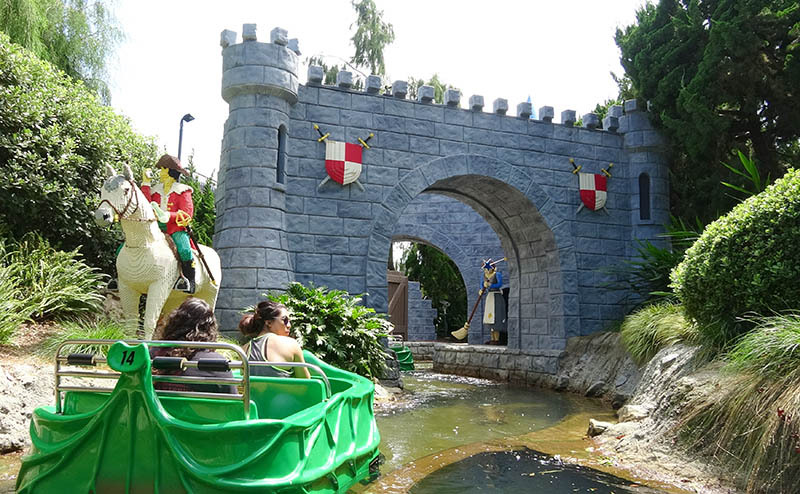 The ride is similar to the original version of Fairy Tale Brook at Legoland Windsor, but it misses out on most of the funny extras added into the scenes of the British version. 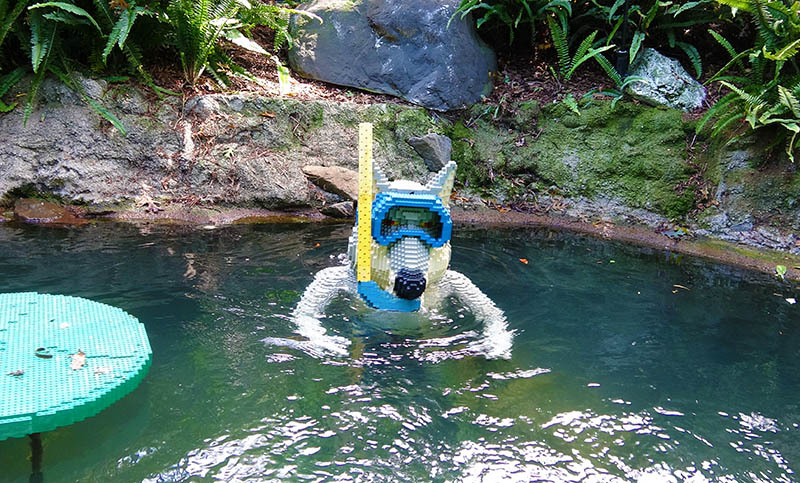 Although still fun, it feels rather more serious and unwilling to laugh at itself too hard. That said, it is still a nicely done ride with plenty to enchant its young riders.